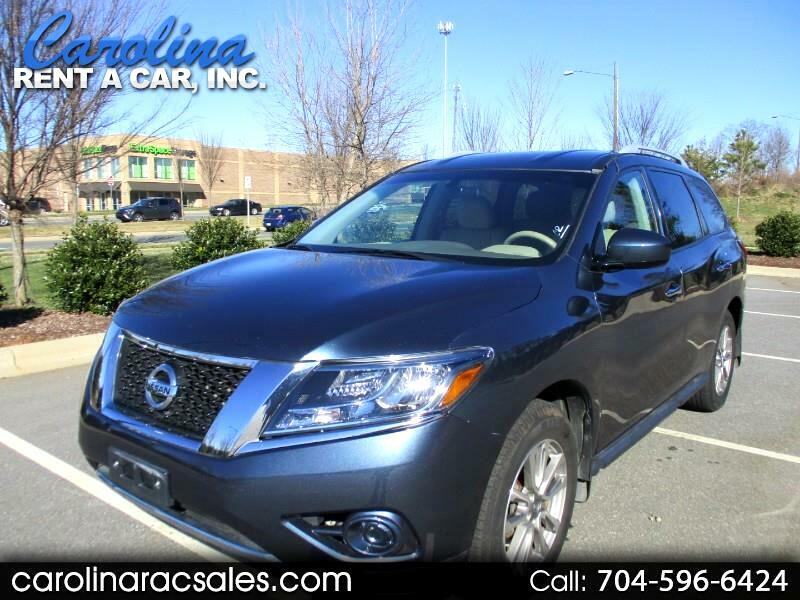 Used 2014 Nissan Pathfinder SV 4WD for Sale in Charlotte NC 28213 Carolina Rent A Car, Inc.
Nice 4x4 Pathfinder located in Charlotte, NC. We have all service records since 8,033 miles. This vehicle has lots of great equipment: power windows, power locks, cruise control, remote keyless entry, leather seats, heated seats am/fm/cd player, roof rack, alloy wheels, Bluetooth, hands free phone, steering wheel audio controls, aux input, roof rack and much more. **This vehicle was a Manufacturer buyback due to the fuel gauge not reading correctly, Nissan replaced fuel gauge prior to use buying in June 2015. In our fleet with no issues since 2015. Call John at 704-596-6424 with any questions or to schedule an appointment to see this vehicle. Lease option available!